Usually found only in Nature's sunny meadows and shaded forests, these delicate blossoms are just as lovely when residing in the home. 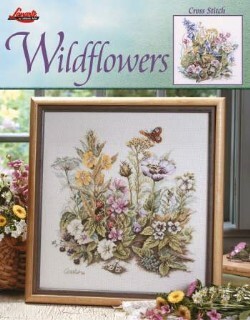 Wood hyacinth, dianthus, morning glory, iris, anemone, and sweet berries will flourish under a tapestry needle. These lovely cross stitch come in a 20-page softcover leaflet.